A star is blasting a planet in its orbit with an extremely high level of X-rays. This high-energy radiation is eroding the planet at a rate of 5 million tons of material per second. The planet, in turn, may be speeding up the star's rotation, which keeps the star's magnetic fields very active. This graphic contains an image and illustration of a nearby star, named CoRoT-2a, which has a planet in close orbit around it. The separation between the star and planet is only about 3 percent of the distance between the Earth and the Sun, causing some exotic effects not seen in our solar system. The planet-hosting star is located in the center of the image. Data from NASA's Chandra X-ray Observatory are shown in purple, along with optical and infrared data from the Panchromatic Robotic Optical Monitoring and Polarimetry Telescopes (PROMPT) and the Two Micron All Sky Survey (2MASS). 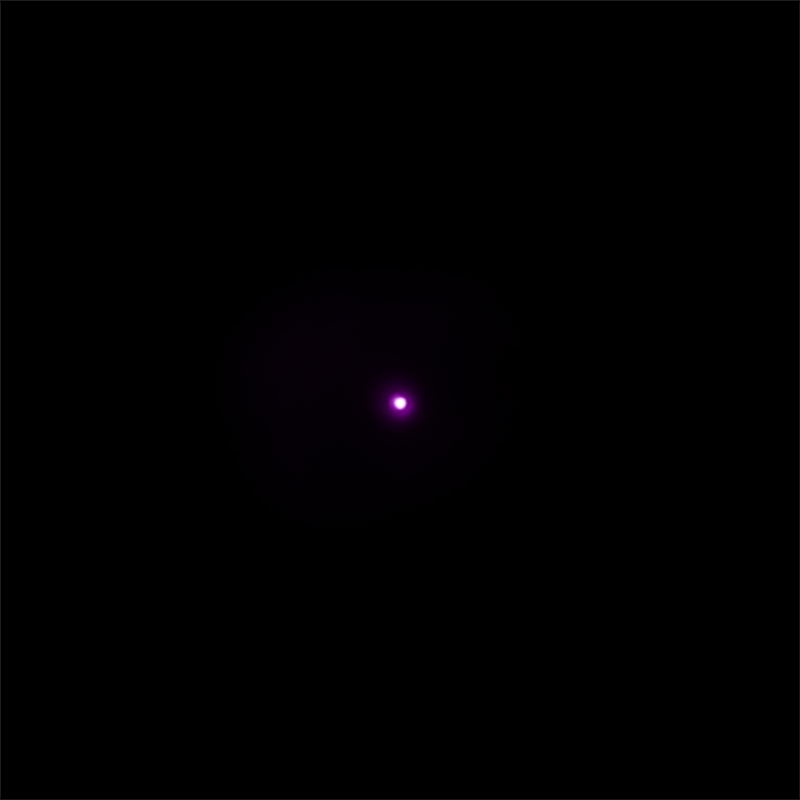 CoRoT-2a is surrounded by a purple glow showing that it is an X-ray source. This star is pummeling its companion planet -- not visible in this image -- with a barrage of X-rays a hundred thousand times more intense than the Earth receives from the Sun. Data from Chandra suggest that high-energy radiation from CoRoT-2a is evaporating about 5 million tons of matter from the nearby planet every second, giving insight into the difficult survival path for some planets. The artist's representation shows the material, in blue, being stripped off the planet. The Chandra observations provide evidence that CoRoT-2a is a very active star, with bright X-ray emission produced by powerful, turbulent magnetic fields. This magnetic activity is represented by the prominences and eruptions on the surface of the star in the illustration. Such strong activity is usually found in much younger stars and may be caused by the proximity of the planet. The planet may be speeding up the star's rotation, causing its magnetic fields to remain active longer than expected. Support for this idea comes from observations of a likely companion star to CoRoT-2a that orbits at a distance about a thousand times greater than the distance between the Earth and the Sun. This star is visible in the image as the faint, nearby star located below and to the right of CoRoT-2a. It is also shown as the bright background star in the illustration. This star is not detected in X-rays, perhaps because it does not have a close-in planet like CoRoT-2b to cause it to stay active. The planet, CoRoT-2b, was discovered by the French Space Agency's Convection, Rotation and planetary Transits (CoRoT) satellite in 2008. It is located about 880 light years from Earth and has a mass about 3 time that of Jupiter. Coordinates (J2000) RA 19h 27m 07.00s | Dec +01° 23´ 02.00"
How will it effect our planet? Will it effect our polarity of earth? Does it say the spectral classification anywhere? Couldn't find it. So presumably the planet is rotating around the star at high speed. Do we have a series of pictures of this happening? I think that it is not just the matter of finding exo-plannets but to find a combination of planets like our solar system. where there are giant outer planets that protect planets in the Golden Zone. Life will not exist on earth if Saturn and Jupiter had not protected Earth from Meteoroid and Extra solar radiations. Is it possible some planets of our could have been in a state like this years ago? Seems to me that there is a lot of similarity to this picture and the picture of the Tycho 1a remnant supernova. Is it possible that the planet in this picture is being drawn into the star and may cause the same type of event? I would say awesome picture. Could this effect explain Mercury's loss of material? A nearby star with a planet in very close orbit around it. 880 light years from Earth. X-rays from Chandra X-ray Observatory and optical and infrared data from the Panchromatic Robotic Optical Monitoring and Polarimetry Telescopes. X-rays are purple and the optical data are red, green, blue.